Product prices and availability are accurate as of 2019-04-14 08:02:56 EDT and are subject to change. Any price and availability information displayed on http://www.amazon.com/ at the time of purchase will apply to the purchase of this product. 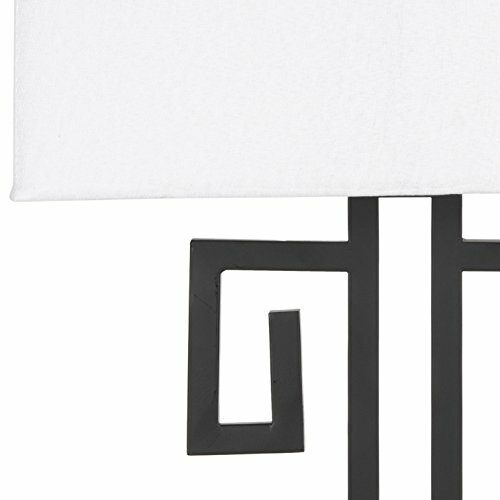 The key to success is the ancient inspiration for our Safavieh Lighting Collection Greek Key Black Table Lamp. 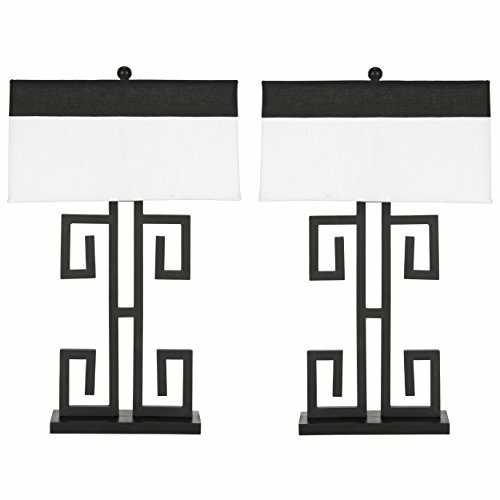 A tailored black and cream hardback shade tops its exquisite wrought iron and resin body, making this pair of lamps ideal for the living room and even a stylish boudoir. 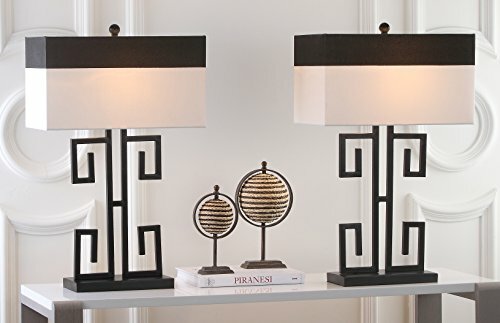 Assembly required, this lamp measures 18" x 9" x 28". 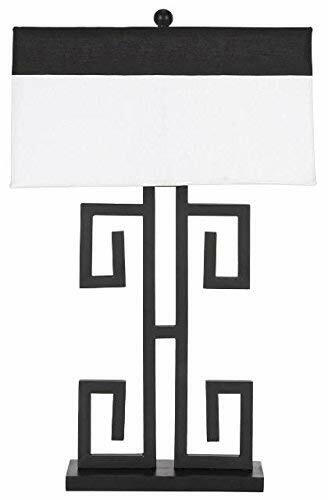 This lamp features a black and white cotton shade Crafted of wrought iron and resin This lamp is 100-watt Perfect for a living room, bedroom, den, library, study or office Assembly required, this lamp measures 18" x 9" x 28"